The bag is made of strong cotton. 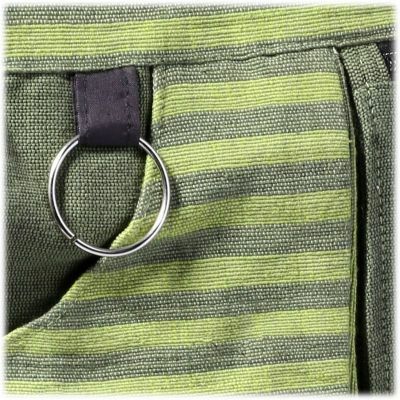 It has two big pockets with separate zips and two small pockets, a mobile-phone pocket and a keyring. 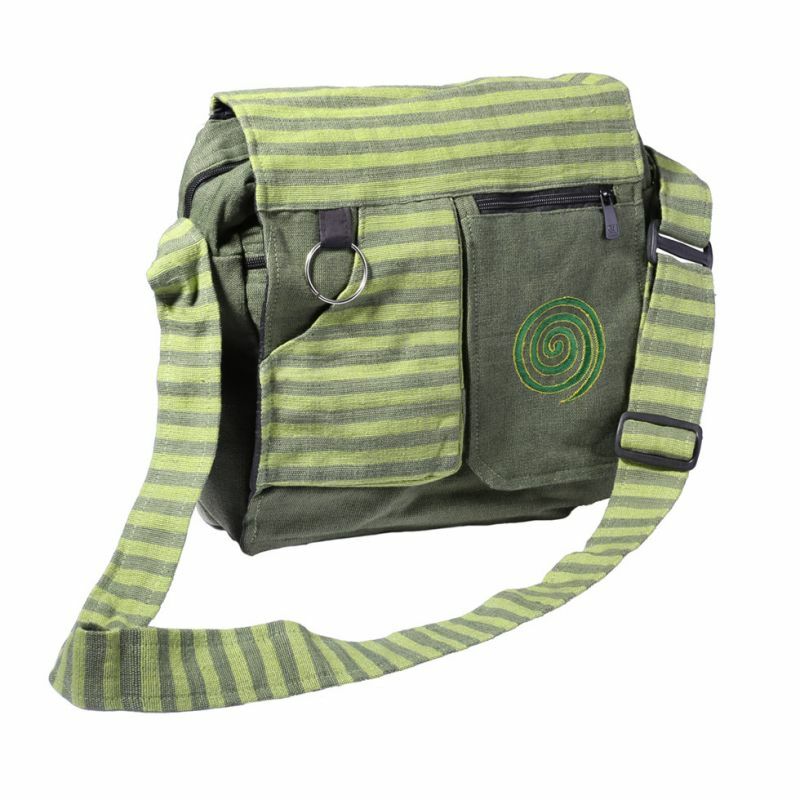 The strap can be adjusted from 45 cm to 70 cm (from the bag to the top of the strap). Size: 35 cm x 28 cm. Made in Nepal.